Our work and cutting-edge technology are driven by the innovators on our team. Learn and connect with the people who move us forward. Misti Ushio, PhD. is the founding CEO of TARA. Dr. Ushio has over 20 years of experience in the biotechnology and pharmaceutical industry, and early stage life science company building. 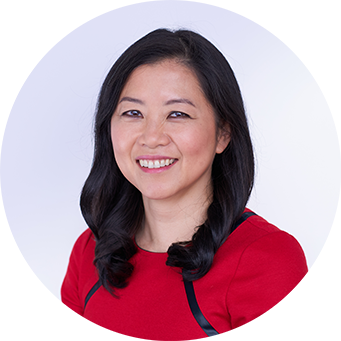 Dr. Ushio has served most recently as Chief Strategy Officer and Managing Director of Harris & Harris Group, where she worked with, and invested in, life science companies to help them translate their transformational science into commercially successful companies. Earlier in her career, Dr. Ushio held management roles at Merck & Company, where she developed vaccines and biologics products, and Columbia University, where she managed the intellectual property of several scientific and engineering portfolios. She graduated from Johns Hopkins University (B.S., Chemical Engineering), Lehigh University (M.S., Chemical Engineering) and University College London (Ph.D., Biochemical Engineering). She also serves as a Director on the Boards of private and public life science companies. Dr. Graziano is an accomplished scientific leader with more than 30 years of experience in biotechnology and pharma drug discovery and development. He began his industry career at Merck Research Laboratories, initiating and leading drug discovery programs in the cardiometabolic and neuroscience arenas. After Merck, he joined Schering Plough where he held positions of increasing responsibility, ultimately serving as Executive Director and Head of Cardiometabolic Drug Discovery. Under his leadership, Dr. Graziano’s team identified two first-in-class drugs, the cholesterol absorption inhibitor ezetimibe (Zetia®) and the antiplatelet agent vorapaxar (Zontivity®). Dr. Graziano returned to Merck as Executive Director of External Cardiovascular and Diabetes Basic Research in a newly created External Basic Research organization which yielded several programs that entered Merck’s discovery pipeline. Prior to joining TARA Biosystems Dr. Graziano was Vice President of Research Biology at MyoKardia (NASDAQ: MYOK), a clinical stage biotechnology company pursuing targeted therapies for the treatment of serious and rare cardiovascular diseases. As a member of MyoKardia’s executive committee, he led efforts the company’s development of novel assays and platforms to enable discovery and development of heart failure therapeutics. Dr. Graziano received his Ph.D. in Pharmacology from The State University of New York at Stony Brook and his B.A. in Biology from New York University. He was a Fellow at The University of Texas Southwestern Medical at Center at Dallas and is an author of more than 60 scientific publications and inventor on several patents. Donna See is the Chief Business Officer of TARA Biosystems. She brings over 15 years of experience in life sciences business development and startup operations. She was previously the Chief Business Officer of Allied-Bristol Life Sciences, a $110M therapeutic development effort led by Allied Minds and Bristol-Myers Squibb, and served as a Vice President of Investments at Allied Minds, a publicly-traded (LSE: ALM) seed investor and company builder. Prior to that, Donna co-founded and steered the sale of Vixen Pharmaceuticals, a company dedicated to the treatment of autoimmune skin disorders, acquired by Aclaris Therapeutics (NASDAQ: ACRS). She was also a Director at Columbia Technology Ventures and founder of a biomedical accelerator fund at Columbia University. Donna received her MBA from Columbia University and BA from The Johns Hopkins University. 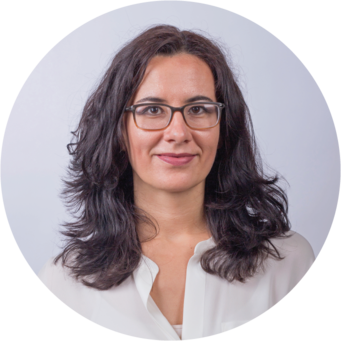 READ BIO Dr. Milica Radisic is a co-founder of TARA. She is a Professor at the University of Toronto and Canada Research Chair (Tier 2) in Functional Cardiovascular Tissue Engineering. She obtained B.Eng. from McMaster University in 1999, and Ph.D. from the Massachusetts Institute of Technology in 2004, both in Chemical Engineering. Dr. Radisic received numerous awards and fellowships, including MIT Technology Review Top 35 Innovators under 35. In 2010, she was named “The One to Watch” by the Scientist and the Toronto Star. She was a recipient of the Engineers Canada Young Engineer Achievement Award in 2012, Queen Elizabeth II Diamond Jubilee Medal in 2013 and NSERC E.W.R Steacie Fellowship in 2014. In 2014 she was elected to the Royal Society of Canada, College of New Scholars, Artists and Scientists. She is a Fellow of the Canadian Academy of Engineering and a Fellow of the American Institute for Medical and Biological Engineering. The long-term objective of Dr. Radisic’s research is to enable cardiovascular regeneration through tissue engineering and development of new biomaterials. Her research interests also include microfluidic cell separation and development of in vitro models for drug testing. Currently, Dr. Radisic holds research funding from CIHR, NSERC, CFI, ORF, NIH, and the Heart and Stroke Foundation. She is an Associate Editor for ACS Biomaterials Science & Engineering and a member of Editorial Board of Tissue Engineering and Advanced Drug Delivery Reviews. Her research findings were presented in over 130 research papers, reviews and book chapters with h-index of 44 and over 6500 citations. 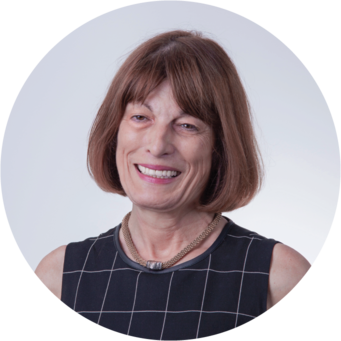 READ BIO Gordana Vunjak-Novakovic is a founder of TARA, and serving on the Board of Directors. She obtained her Ph.D. in Chemical Engineering at the University of Belgrade in Serbia, and was a Fulbright Fellow at MIT. She is the Mikati Foundation Professor of Biomedical Engineering, a Professor of Medical Sciences at Columbia University, and a faculty in the Irving Comprehensive Cancer Center and the Center for Human Development. She directs the Laboratory for Stem Cells and Tissue Engineering, and serves on the Columbia University President’s Task Force for Precision Medicine. The focus of her research is on engineering functional human tissues for regenerative medicine and studies of development and disease. She is well published (3 books, 346 journal articles) and highly cited (31,500 citations, h=101). She has 75 licensed, issued or pending patents and has founded two other biotech companies: epiBone (http://epibone.com) and MatriTek (http://matritek.com). Among her many recognitions, Gordana is the Chair of the College of Fellows of the American Institute for Medical and Biological Engineering, and was elected to the Academia Europaea, Serbian Academy of Sciences and Arts, National Academy of Engineering, National Academy of Medicine, and National Academy of Inventors. READ BIO Robert Langer is an Institute Professor at MIT (there are 13 Institute Professors at MIT; being an Institute Professor is the highest honor that can be awarded to a faculty member).Over 300 of his trainees are now professors, 13 have been elected to the National Academy of Engineering and 9 have been elected to the National Academy of Medicine, and 34 to the Technology Review 35. His h-index of 222 is the highest of any engineer in history and he has over 1,100 issued and pending patents worldwide. His patents have licensed or sublicensed to over 300 companies. He served as Chairman of the FDA’s SCIENCE BOARD (it’s highest advisory board) from 1999-2002. Langer is also one of very few individuals ever elected to the National Academy of Medicine, the National Academy of Engineering, the National Academy of Sciences and the National Academy of Inventors. He is one of four living individuals to have received both the United States National Medal of Science and the United States National Medal of Technology and Innovation. 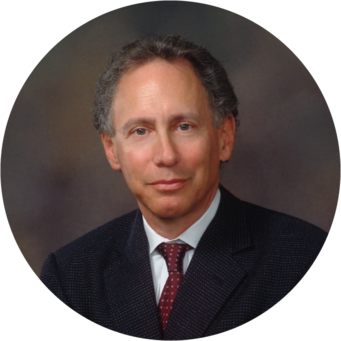 In 2015, Dr. Langer received the Queen Elizabeth Prize for Engineering, the world’s largest engineering prize. He has also received the Charles Stark Draper Prize (sometimes referred to as the engineering Nobel Prize), the Albany Medical Center Prize, the Wolf Prize for Chemistry, the Millennium Technology Prize, the Priestley Medal (highest award of the American Chemical Society), the Gairdner Prize, the Kyoto Prize, the Breakthrough Prize in Life Sciences and the Lemelson-MIT Prize, for being “one of history’s most prolific inventors in medicine.” He holds 27 honorary doctorates including honorary degrees from Harvard and Yale. 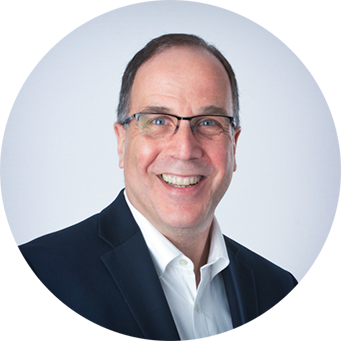 READ BIO John Baldoni is Senior Vice President, In silico Drug Discovery, in GSK Pharma R&D. This department will use in silico methods to identify patient needs, explore molecular interventions to address those needs and design and conduct clinical trials to test the medical hypothesis. Using these methodologies, the conventional empirical design make test cycle will be dramatically reduced. The intent is to discover medicines at higher velocity, with greater precision and at dramatically lower cost compared to current approaches. Prior to this, John was Senior Vice President, Platform Technology and Science (PTS), in GSK. The work of PTS span the entire drug discovery and development process, from preclinical activities leading to clinical candidate selection through commercial launch. This accountability covered the discovery and manufacture of small molecules, biopharmaceuticals, and cell and gene therapies. John joined GSK in 1989 and has worked in the pharmaceutical industry for 37 years. His experience spans new chemical entity design, development and commercialization, and biopharmaceutical development. In progressing to his current role, John has held various positions at GSK including Senior Vice President, Preclinical Development; Vice President, Product Development; Director, Product Development; and Assistant Director, Biopharmaceutical Formulation Development, among others. 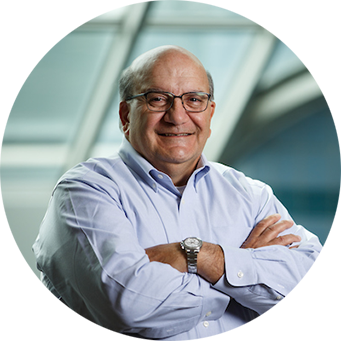 He has led several key cross-functional strategic initiatives, such as advanced manufacturing technologies and discovery modernization John has a BS in biochemistry (1974), and MS and PhD degrees in chemistry (1980) from Penn State University. READ BIO Craig Asher’s firm Trancos Ventures, successor to Vital Venture Capital, invests in life science tools, therapeutics, cyber security, and life sciences-related semiconductor companies. Trancos aims to add value to its companies in intellectual property, sales, marketing, product development, quality assurance, product management, and implementations. Prior to co-founding Vital Venture Capital in 2007, Craig was a senior software product manager in the nascent field of big data at IBM/Trigo Technologies and at Commerce One. Preceding his software development work, Craig was a consultant at Andersen Consulting (now Accenture). He started his career as a manufacturing engineer. His customers in software and in consulting included pharmaceutical manufacturers, pharmaceutical distributors, pharmacies, consumer packaged goods manufacturers, aerospace manufacturers, semiconductor manufacturers, and large retailers. 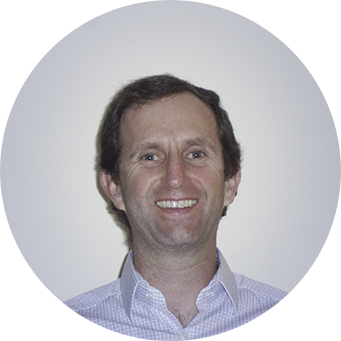 Craig has a Masters degree in industrial engineering and a MBA from Northwestern University, as well as a Bachelors degree from Stanford University. Danielle Bogdanowicz, Ph.D. is a Research Scientist at TARA. Dr. Bogdanowicz has extensive experience in the development of in vitro platforms for studying cellular interactions during fibrous tissue injury and repair. She previously served as a postdoctoral fellow for the Empire State Columbia University Stem Cell Training Program, and prior to that, was an Honorary Research Associate in the Biomedical Engineering Division at the University of Glasgow. She received her B.S. in Biomedical Engineering from Rensselaer Polytechnic Institute and her M.S. and Ph.D. in Biomedical Engineering from Columbia University. Jay Clare is the Senior Manager of Corporate Operations at TARA. Jay has extensive experience in technology development and commercialization, intellectual property and early stage company operations. 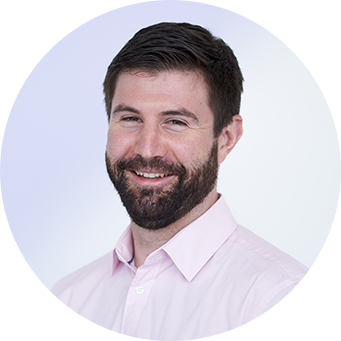 Prior to joining TARA , he has been responsible for managing technology transactions, venture capital financings and engineering projects across a number of different positions. Jay received his B.Sc. (Biology) from the State University of New York at Albany and his JD from Syracuse University where he served as a Senior Research Fellow in the Technology Commercialization Law Center. 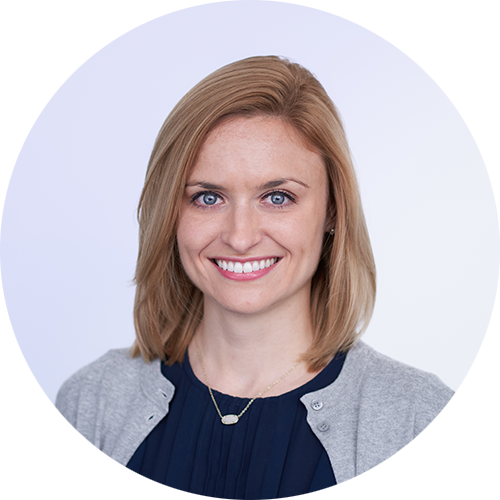 Krista Durney, Ph.D. is the Product Marketing and Sales Manager at TARA, Inc. Dr. Durney was trained in the laboratories of Dr. Gerard Ateshian, Ph.D. and Dr. Clark Hung, Ph.D at Columbia University where her graduate research focused on musculoskeletal biomechanics and tissue engineering. Krista was trained in financial markets and business valuation at Goldman Sachs where she covered the pharmaceutical and biotechnology sectors as an equity research fellow. 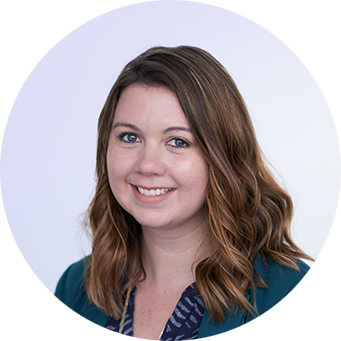 During her graduate studies, Krista’s entrepreneurial spirit has led to her involvement in bringing two technologies out of the university through funding from Columbia’s Biomedical Technology Accelerator and Cisco’s Global Problem Solver Challenge. She obtained both her Bachelor and Master of Engineering degrees from The Cooper Union in NYC (Inter-Disciplinary and Mechanical Engineering), and her Ph.D. from Columbia University (Biomedical Engineering). 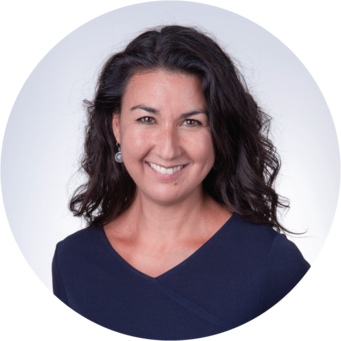 Dr. Nicole Feric is the Associate Director of Lab Operations at TARA, Inc. She trained as a postdoctoral fellow in the laboratory of Dr. Milica Radisic at the University of Toronto where she helped develop the BiowireTM cardiac tissue maturation protocol and platform technology. She obtained her B.Sc. (Honours, Biochemistry) and Ph.D. (Biochemistry) from Queen’s University, Ontario, Canada. There she began her cardiovascular research career in the laboratory of Dr. Marlys Koschinsky investigating the prothrombotic effect of lipoprotein(a), a coronary heart disease risk factor, on the plasminogen activation system. 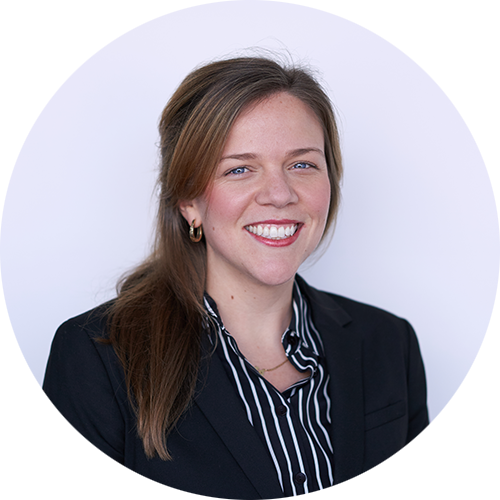 Meghan Garcia is a Senior Research Scientist at TARA, Inc focusing on product development. 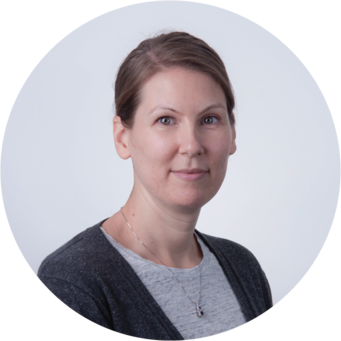 With over 10 years of experience in industry research, her career has centered around developing advanced human disease models from primary human cells and stem cells. She has developed models for neurodegenerative, neurodevelopmental and liver diseases amongst others. Her work in the space of multiple sclerosis targeted a novel therapeutic approach to the disease. In her time at Vertex Pharmaceuticals she applied these disease platforms to drug discovery, and many of these models were successful in identifying molecules as clinical candidates for the treatment of life threatening diseases. Her work on establishing disease models and assay development has resulted in numerous patents, as well as an FDA approved clinical assay. She obtained her B.S. in Biology and Biotechnology from Worcester Polytechnic Institute, where she began academic research in the labs of Dr. Steven Grossman and Dr. Michael Francis (UMass Medical School). 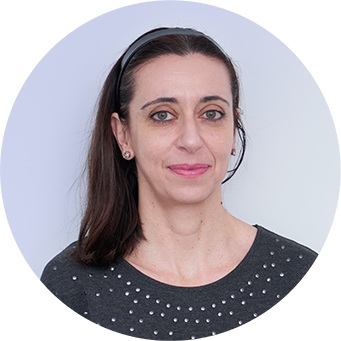 Her research has largely focused on the fields of neurobiology and stem cell biology while the underlying current of her career has been towards progressing the state of human disease models to increase clinical translation and in turn treat disease. 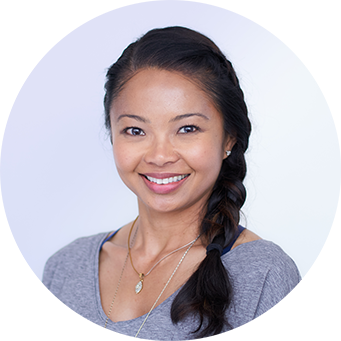 Marietta Gustilo is a Senior Research Associate at TARA Biosystems. She was raised in Charleston, SC and obtained her Bachelor’s of Science degree in Biology from the College of Charleston. She has previously worked in bacterial vaccines at Pfizer and HIV vaccines at Duke Human Vaccine Institute. She has also contributed to breast cancer and leukemia research at the Medical University of South Carolina. Isabella Pallotta, PhD, is a Research Scientist at TARA. Dr. Pallotta graduated from the University of Pavia, Italy (M.S., Biology, PhD, Biochemistry). As a visiting PhD student first, and later on as a Postdoctoral Scholar, she spent 5 years in the Department of Biomedical Engineering at Tufts University (Prof. David Kaplan’s group), to gain fundamental insight into megakaryocyte cell biology and in vitro released platelet functions, within bioengineered systems and advanced 3D systems. This work led to 1 patent, together with several published papers. At the New York Stem Cells Foundation, NY, in Prof. Donald Freytes’ group, she then started her research career in cardiac tissue engineering, by developing advanced cardiac constructs and investigating the interactions with the inflammatory environment found at the site of myocardial infarction. Kacey Ronaldson-Bouchard, Ph.D. is a Senior Research Scientist and co-founder of TARA. Dr. Ronaldson-Bouchard has spent the previous 6 years developing various microphysiological systems for organ-on-a-chip studies of human toxicity and disease modeling. Dr. Ronaldson-Bouchard’s doctoral studies primarily focused on the development of cardiac microphysiological systems with mature functionality. This work led to four published papers and four pending patent applications. She was graduated from the University of Florida (B.S., Biochemistry), and Columbia University (M.S., Ph.D., Biomedical Engineering). She was President of the Graduate Society of Women Engineers and continues to support initiatives that mentor young women to pursue STEM related fields. Rishabh is an engineer at TARA. He joined the team in 2017 after graduating from Cornell University with a Bachelor’s degree in bioengineering. At Cornell, he worked on cardiovascular research in Dr. Jonathan Butcher’s lab, exploring the role of mechanical signaling in valve development. He also worked on a synthetic biology project team, Cornell iGEM, to design genetic engineering solutions to real-world problems. Rooz Sobbi, Ph.D. is a Senior Research Scientist at TARA. 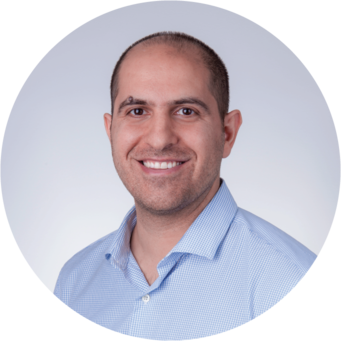 Rooz has extensive experience in cardiac electrophysiology and has spent the last 10 years studying ion channels and structural changes in the heart as a result of arrhythmias. Rooz holds a B.Sc. in Cellular and Molecular Microbiology from University of Calgary and a Ph.D. in Physiology from University of Calgary Medical School. 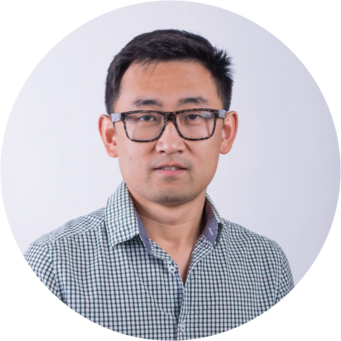 Boyang Zhang is a co-founder of TARA and a postdoctoral fellow at University of Toronto, Canada. At TARA, Dr. Zhang is developing the manufacturing process of BiowireTM plates. Dr. Zhang obtained his B.Eng. in Chemical and Biomolecular Engineering from Georgia Institute of Technology in 2010, and his Ph.D. in Chemical Engineering and Applied Chemistry from University of Toronto in 2016. In 2016 Dr. Zhang was named MedTech’s Rising Star by Medical Device and Diagnostic Industry (MD+DI). In 2013, University of Toronto named Dr. Zhang inventor of the year for his collaborative work on a skin bioprinter. 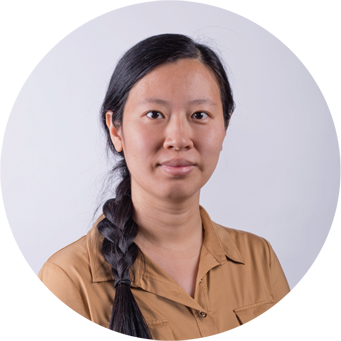 Dr. Zhang’s research interests are tissue vascularization, tissue assembly and organ-on-a-chip engineering. He utilizes microfabrication techniques in combination with biomaterials to build complex tissue models in vitro for drug discovery and regenerative medicine. 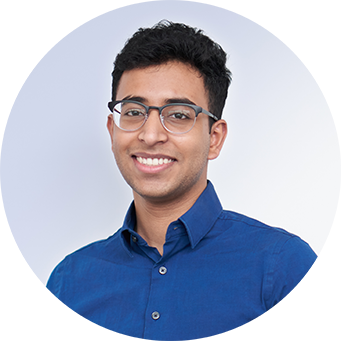 His research on AngioChip, published as a cover article in Nature Materials, was featured in the Toronto Star and on The National on CBC in 2016. He has published over 20 research papers with H-index of 10 and has 3 patents pending. Yimu Zhao is a 4th year Ph.D. Candidate in the laboratory of Dr. Milica Radisic at University of Toronto. Her Ph.D. thesis is to develop BiowireTM II drug testing platform (TC dish version and 96-well version) that is designed to 1) be minimally drug absorbable, 2) mature engineered cardiac tissues and 3) accurately evaluate inotropic and chronotropic responses of tissues with drugs. She is one of the inventors of TARA’s BiowireTM platform technology (Patent) and contributes significantly on tissue conditioning, maturation and drug screening optimization for platform development. She is one of the co-founders of TARA. She obtained her B.A.Sc. (Chemical Engineering) from University of Western Ontario and M.A.Sc. (Chemical Engineering) from Queen’s University, Ontario, Canada. There she worked on stem cell technology in the laboratory of Dr. Lauren Flynn and Dr. Stephen Waldman for multi-lineage differentiation and application of adipose-derived stem cells. 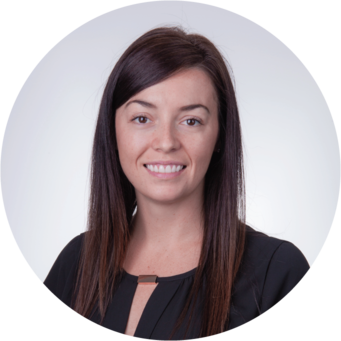 TARA is always interested in hearing from talented people who share our passion for the pursuit of better health and longer life.